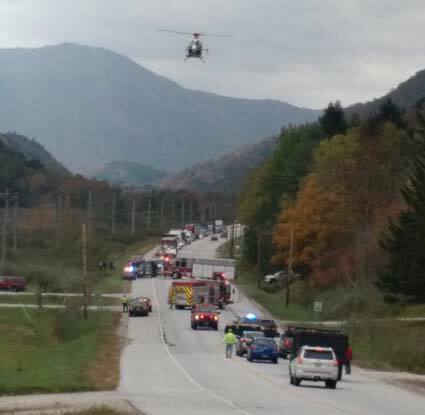 KILLINGTON — On Wednesday, Oct. 7, 2015 at 10 a.m. Rutland State Police and Killington Rescue responded to a report of an unconscious male who had a medical event while riding his bike on Route 4 in the town of Killington. Thomas Hagemann, 59 of Houston, Texas, was riding his bike with friends when he collapsed just east of River Road. Route 4 was temporarily closed to allow the landing of a medical Dartmouth-Hitchcock Helicopter which transported the male to the Dartmouth Hitchcock Medical Center for further medical attention. The male succumbed to his medical emergency and later passed away, police reported.